With the help of our brilliant logistics network, we render safe and time-bound deliveries. We have established a state-of-the-art warehouse facility and equipped it with the latest inventory control system. Thus, we can take care of seasonal supply, wholesale supply, and quick supply among others. 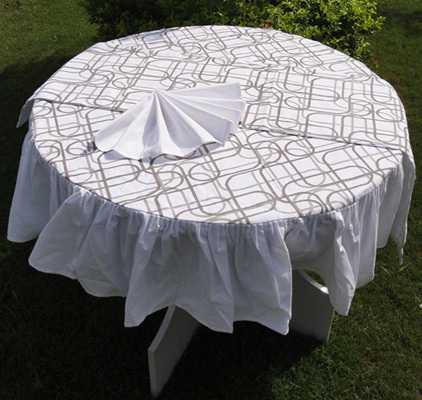 Versatile range of table-covers in various shapes are made along with Associated Table mats, Napkins and Table-runners in different types of fabric.